This weekend: a Labor of Fun - GetGoing NC! Water is the theme this Labor Day weekend, with a 5K you can jump into a lake after finishing, a festival that lets you take your chances on Class III water in a boat you build, and a triathlon that kicks off with a swim in a 72-degree mountain lake. Go Jump in the Lake 5K isn’t a derisive suggestion; rather, it’s a thought on what you might do following a 3.1-mile run on a hot, humid August morning. This 5K starts and ends along the banks of Spring Lake in Boiling Springs: at the finish, runners are encouraged to keep going and take a refreshing dip. Includes a fun run, with a fun follow-up dip as well. Added incentive: the course is flat ‘n’ fast. Logistics: Saturday, Aug. 31, 8 a.m., Spring Lake Park, Boiling Springs. $10 to $35. More info here. Saturday forecast: High of 82, 40 percent chance of rain. The ideal Labor Day celebration, in or book, is one where you essentially stay put and all the fun comes to you. Building a raft and sailing it down Class III water, running a 5K or 15K trail race, live music from three bands, fireworks and food — all in one place. This Sunday, that place would be the U.S. National Whitewater Center, home of all of the above. The day begins with the trail races at 9 a.m. and ends after the 9:30 a.m. fireworks show. Logistics: Sunday, Sept. 1, U.S. National Whitewater Center, Charlotte. Free. More info here. Sunday forecast: High of 91, 50 percent chance of rain. Looking to capitalize on your summer triathlon training? Check out Saturday’s King of the Smokies Triathlon at Lake Junaluska. Two tris, in fact. The sprint is a half-mile swim, 17.3-mile bike and 3.77-mile run, while the international is a one-mile swim, 25.76-mile bike, 7.37-mile run. Word is the lake will be cool enough to allow wet suits. 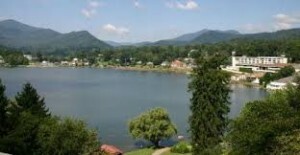 Logistics: Saturday, Aug. 31, 7:30 a.m. Lake Junaluska. $65 for the sprint, $180 for the international. More info here. Saturday forecast: High of 79, 50 percent chance of rain.